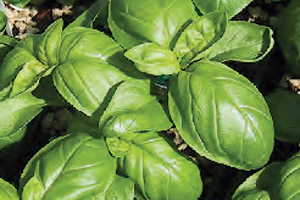 Site: Basil needs a sunny location which receives at least 6-8 hours of bright light per day and moist but well drained soil conditions. Protect from heavy wind, frost and scorching. It does not do well with blaring midday sun. Growing: Depending on the amount of regular rainfall, water deeply once every 7 - 10 days to insure the roots are receiving adequate moisture. Always watering at midday not in the evening. 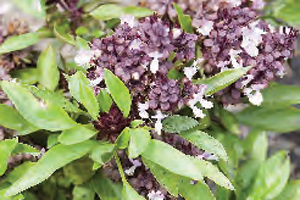 In hot weather, syringe leaves. 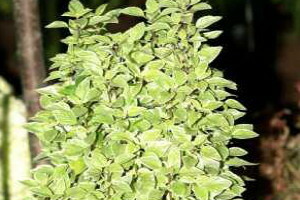 Basil grows well potted in containers. Plants grown in containers will dry out faster than those in garden beds and therefore will have to be watered more frequently. Choose container with holes in the bottom for proper drainage. Fertilize sparingly. Basil will not survive harsh winters. 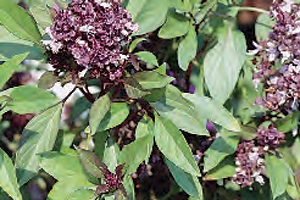 At the end of the growing season, you may pot the plant and bring it inside for the winter. Place in a place with plenty of bright sunlight. 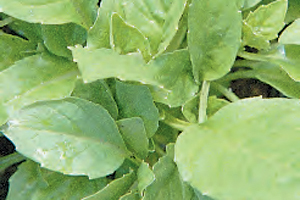 Harvesting: Pick or snip leaves when young and as they are needed. 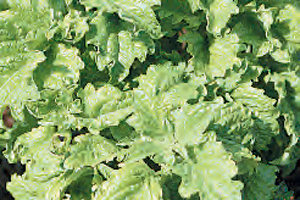 If whole stem sections are being harvested, cut just above a pair of leaves. Snipping the leaves actually encourages new growth and can be seen in less than a week. 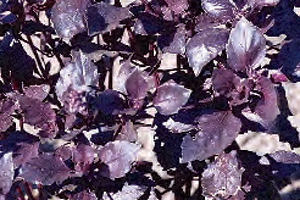 For culinary uses, it is important to prune or trim the plant periodically through the growing season or it will not retain productive growth. If the plant flowers and form seeds, it will become woody and yield will be reduced. 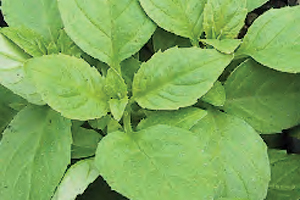 Culinary Uses: Basil's warm spicy essence is revered by cooks from the Orient to the Mediterranean. Sliced tomatoes are divine when topped with a sprinkle of olive oil and a basil chiffonade. 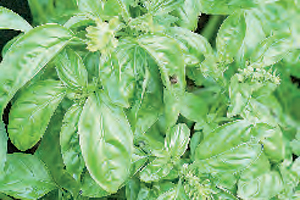 Basil's pungent flavor complements garlic well. Used in pesto and tomato based Italian sauces, blended vinegar as well as spicy Thai cuisine. Would you like a tasty herb recipe? Click here. Return to Care Tips page.